I am excited to be working with Alberta Pulse Growers who have sponsored this post. 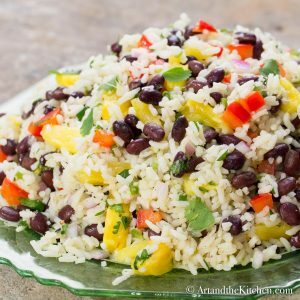 Black Bean Coconut Rice Salad is a perfect side dish for Picnic and BBQ Season! This tasty Black Bean Coconut Rice Salad is not only delicious it is packed with healthy ingredients. 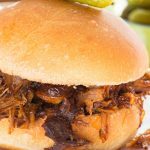 It makes a perfect side dish and goes well with grilled meat, chicken or fish. 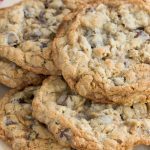 You will be amazed by the incredible flavor combination. The delicious black beans added to this dish are an excellent source of protein, low in fat and high in fiber. Many varieties of pulses are grown in Alberta and Alberta Pulse Growers support over 6,000 farmers. You may be wondering, what exactly are “Pulses”? 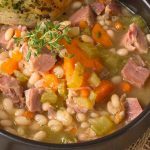 Pulses include dry peas, beans, lentils, and chickpeas. 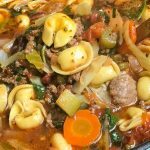 Check out Alberta Pulse Grower’s website for a complete list of varieties and some really awesome recipes. Adding pulses is a delicious and healthy way to perk up any salad or side dish. Pulses are a great choice for vegetarian, vegan and gluten-free diets. 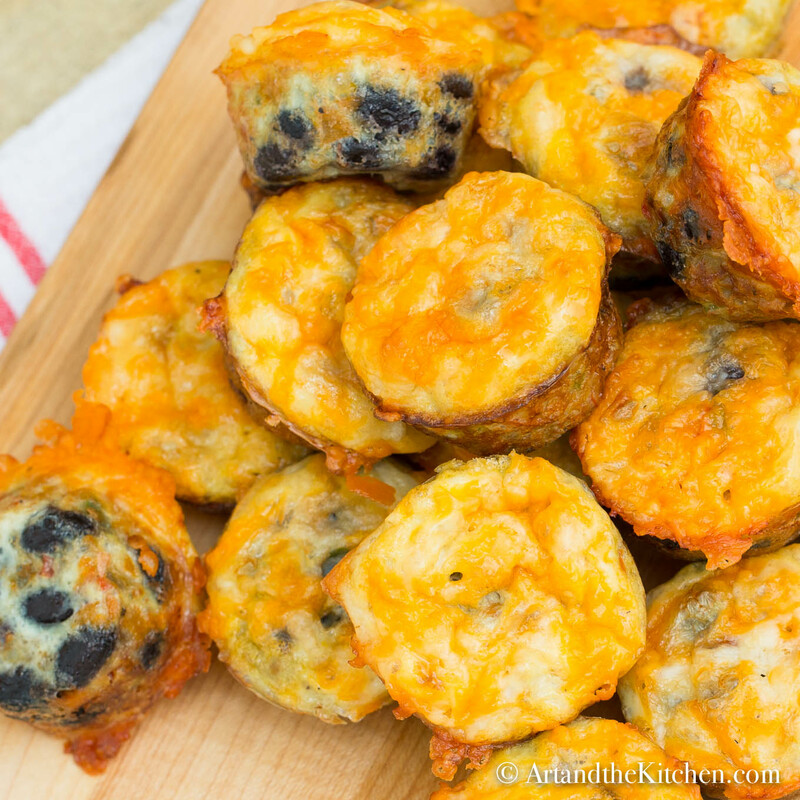 Another scrumptious recipe you may want to try is my Black Bean Frittata Bites. You will love the boost of flavor the coconut rice adds to this salad. For this recipe I did some extensive testing to make the perfect coconut rice. I wanted a rice that had great consistency and flavor. Most coconut rice recipes I tried did not achieve significant coconut flavor. The solution, I found, was to replace plain water with coconut water. This did the trick and I must say my recipe makes the tastiest coconut rice ever! 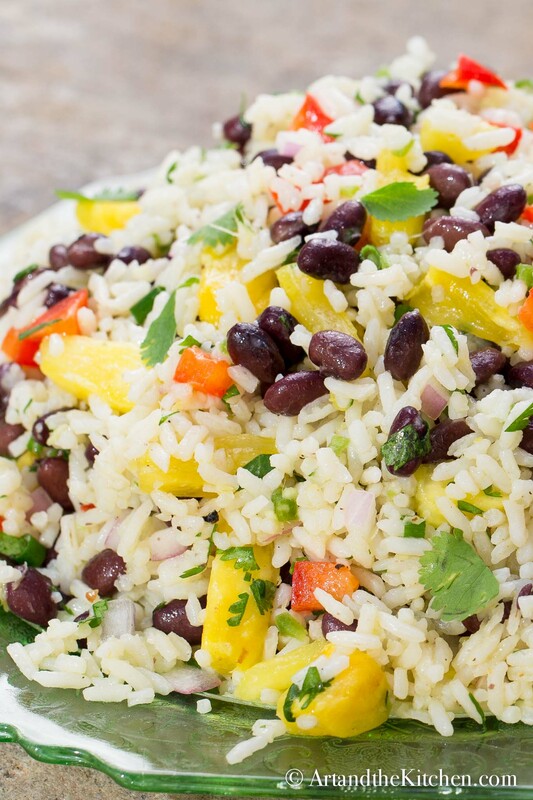 The combination of coconut rice, black beans, pineapple, red bell pepper, onions, jalapeño pepper, and cilantro will tantalize your taste buds. 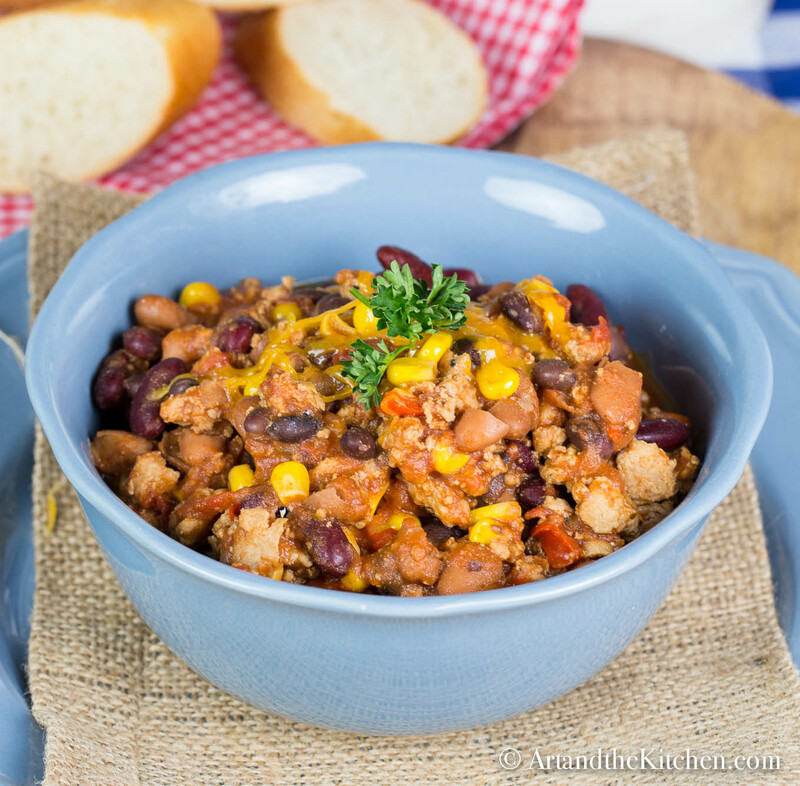 For this recipe I used canned black beans, but red beans or chickpeas will also taste yummy. Another option you can try is to start with dry beans. 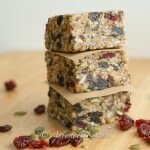 Check out Alberta Pulse Growers for instructions on how to prepare dry pulses for recipes. 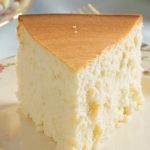 I recommend using fresh ripe pineapple for this recipe, as it is not as watery and tastes so much better, although in a pinch, canned will work. 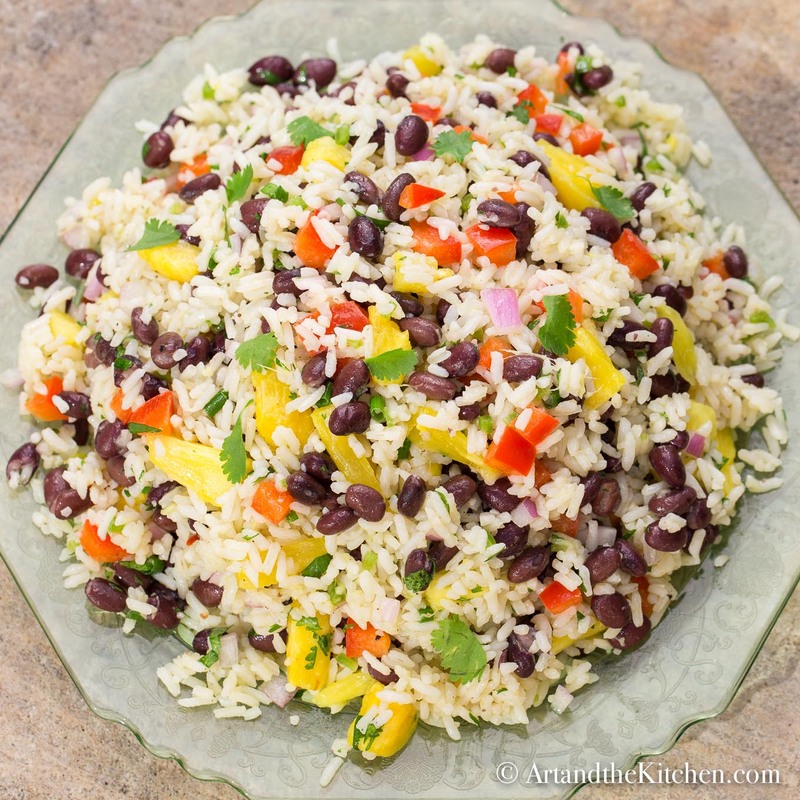 Black Bean Coconut Rice salad is great to bring to potluck dinners and backyard BBQ’s. This unique salad will be a hit! Rinse rice in cold water until water is no longer cloudy. Transfer rice to cooking pot, add coconut milk, coconut water and 1/4 tsp. salt. Stir well. Bring rice to full boil, turn heat down to lowest setting. Place lid on pot and simmer on lowest heat for 20 minutes or until all liquid is absorbed. Remove from heat and let rest leaving lid on for an additional 15 minutes. Transfer to extra large bowl, fluff with fork and let cool. Fluff with fork occasionally until completely cooled. While rice is cooking prepare beans and vegetables as well as dressing. In jar combine together, lime juice, olive oil, grated ginger, pineapple puree, jalapeño pepper, 2 tbsp. red onion finely chopped and 1/4 cup chopped cilantro. Place lid on jar and shake to blend all ingredients together. When rice is cooled, toss in the black beans, pineapple, red bell pepper, 1 cup red onion, 1/2 cup cilantro and chives. Add dressing and toss together until blended. To make pineapple puree. Chop fresh pineapple, place in blender until smooth. About 1 cup chopped pineapple should make 1/2 cup puree. 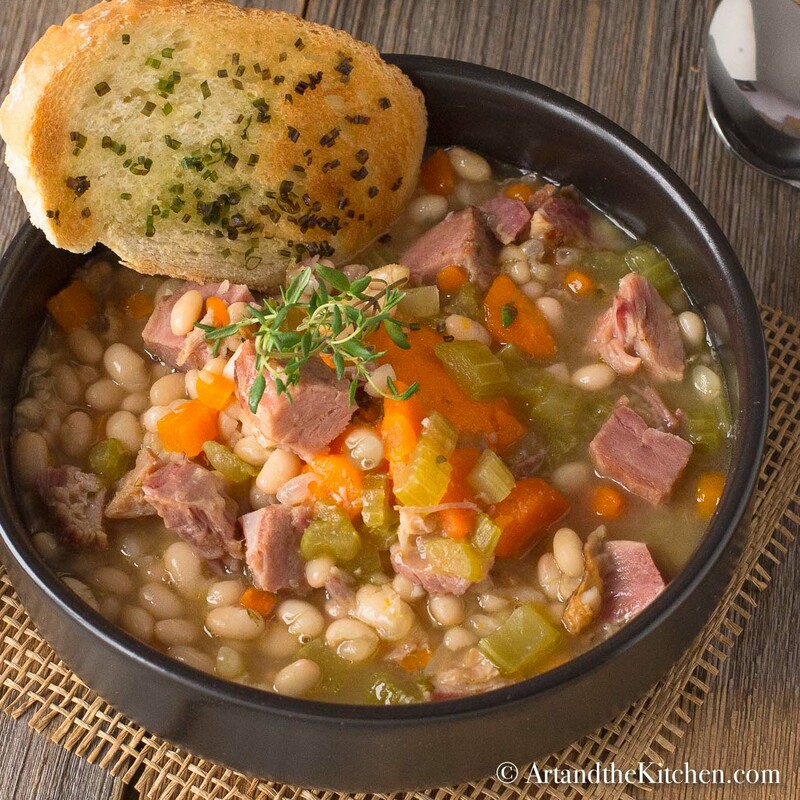 Enjoy some more great recipes using “Pulses”. Nutritious and delicious, pulses are good for you and your health!